Born in Cornwall, England in 1736, John Arnold was a watchmaking legend in his own time. After his first apprenticeship, Arnold opened a workshop in London. One of his first clients was William McGuire, a renowned watch connoisseur, who tasked Arnold with the daunting repair of his repeating watch. After he successfully restored McGuire’s watch, Arnold nearly immediately gained recognition as a talented watchmaker. 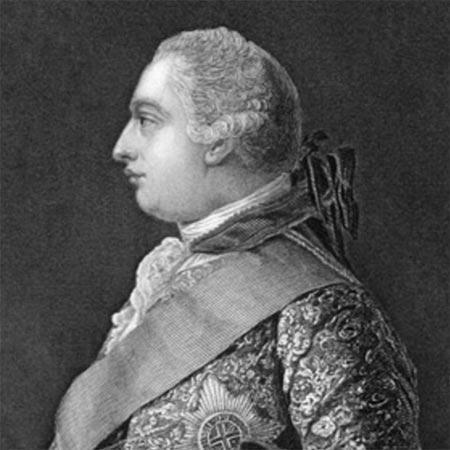 In 1764, Arnold presented the smallest repeating watch to King George III. With this marvel—presented to the royal court, no less—Arnold’s renown as one of the day’s most innovative watchmakers soared. Arnold is also credited with developing the very first chronometer, a distinct title reserved for exceptionally precise timepieces and a designation still used today. Arnold’s ingenuity is tied to nearly every advancement in early timekeeping technology, and his breakthroughs ushered on a vast improvement in 18th century marine navigation. 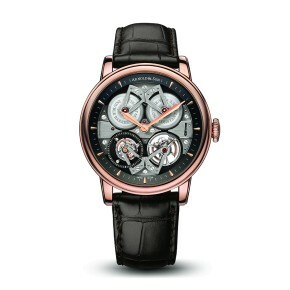 Arnold also shares credit with Abraham-Louis Breguet for inventing the modern mechanical watch. Following Arnold’s death in 1799, his son, John Roger Arnold, carried on his father’s impressive legacy. John Roger was a formidable watchmaker himself who developed a keyless winding system and invented jump-hour marine chronometers. In the wake of John Roger’s death in 1843, Arnold & Son faded into obscurity. But in 1995, the dormant brand was revived. 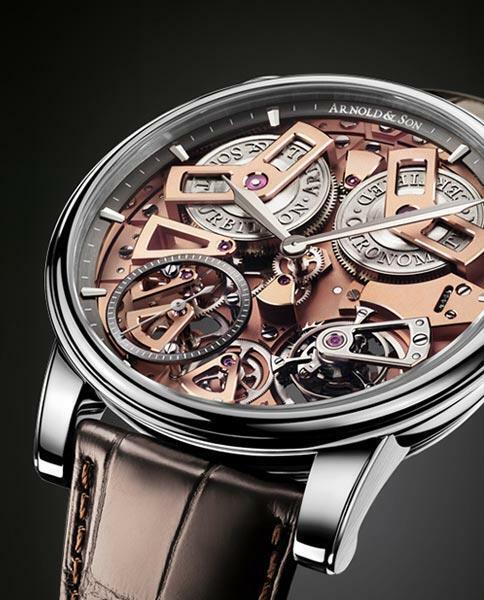 A modern iteration of the centuries-old Arnold & Son brand was established in La Chaux-de-Fonds, Switzerland and quickly resumed the innovative work of its namesake. In the same ambitious vein as John Arnold, today’s Arnold & Son team challenges themselves to continuously innovate. To that end, the brand takes particular pride in developing an original movement for every new watch model. 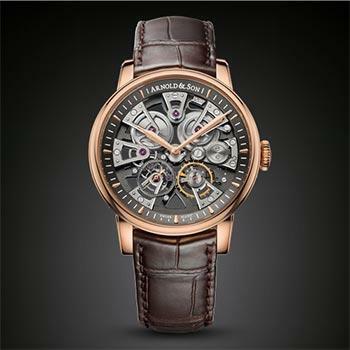 Arnold & Son is well known for their skeletonized watch designs to rightly showcase the elaborate and mind-bending movements housed within the watchcase. 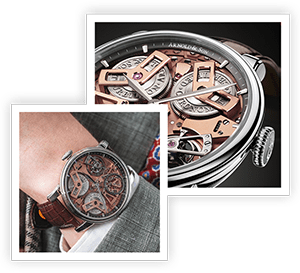 The Swiss brand is also a fully integrated watch manufacturer, building all of its proprietary movements in-house to ensure they pass the rigorous and relentless standards against which Arnold & Son upholds itself. 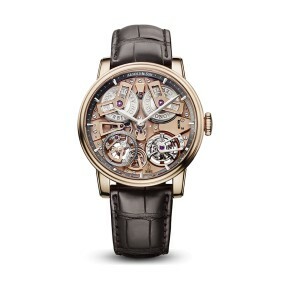 In this new form, Arnold & Son continues to uphold the brand values established by John Arnold over 250 years ago. 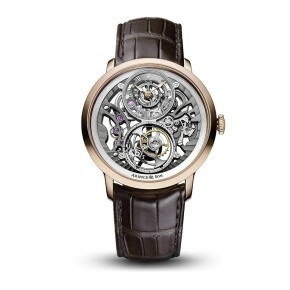 Its innovative and impeccably designed watches are a hypnotizing marvel to onlookers and aficionados alike. 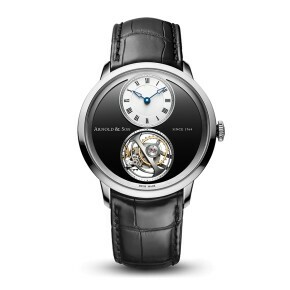 Arnold & Son develop and produce their own movements entirely in-house. 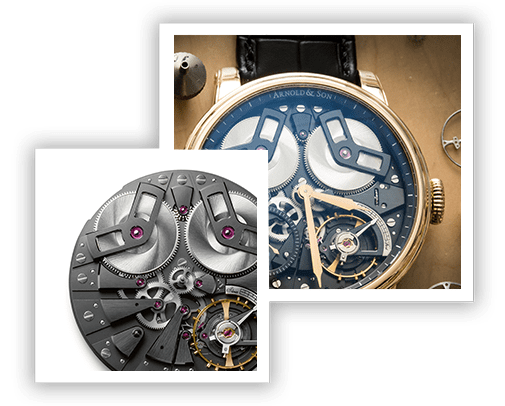 Even more impressive, the Swiss manufacturer introduces at least two wholly new movements every year and designs a new movement for every single model they release. 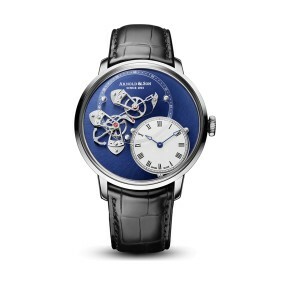 This exceptional achievement pushes Arnold & Son onto the same competitive level as some of the world’s biggest watch manufacturers.